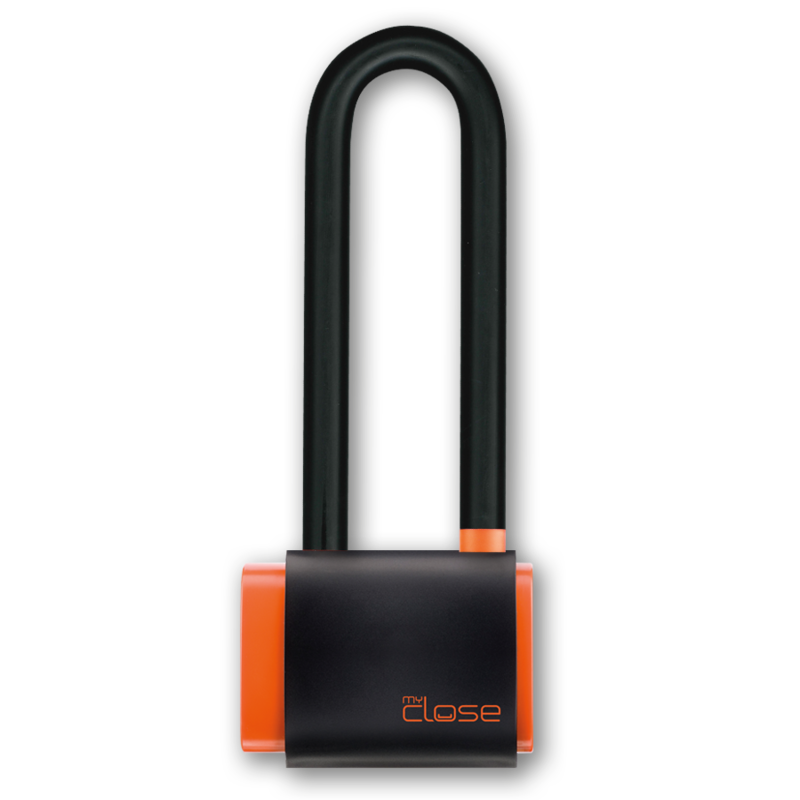 MyClose Mini U lock is equipped with 300 mm long case hardened pvc coated shackle and black sledge transport cover. No tracker is included in the package. The Mini U comes in a nice box with recharge plug and cables . MyClose App for remote system control is available for free download for Android and IOS in Play store and in App Store. Mini U lock 300 mm long shackle, keys, battery replacement tool.